There are more than 50,000 students in continuation high schools in California. These kids are at high-risk of dropping out. They’re behind in credits or may need a flexible schedule. While the requirements to graduate from alternative schools are the same, the scheduling is more accommodating and faster paced. It’s the last chance for these students to graduate. In spite of these benefits, 60% of continuation high school students were chronically absent last year. 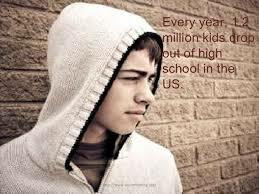 Studies show that high school dropouts have lower earnings and higher incarceration rates. 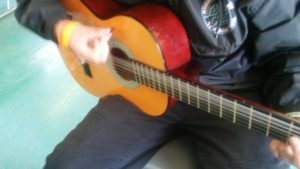 If our schools had more arts programs, attendance would increase. 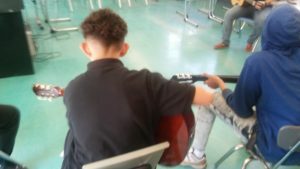 Thanks to LAUSD, Create Now organized and provided two 12-session guitar workshops with 30 students at continuation schools. 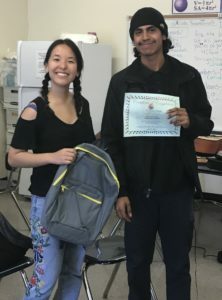 Musician Janis Yue taught the kids at Cheviot Hills High, while Pat Fernandez and Melinda Salcido gave lessons at Secondary CDS in Huntington Park. 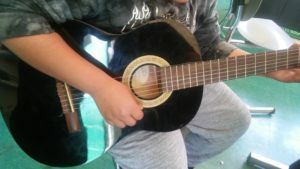 Create Now strives to bring our guitar workshops and other arts programs to more at-risk and high-risk youth, but we need your support. 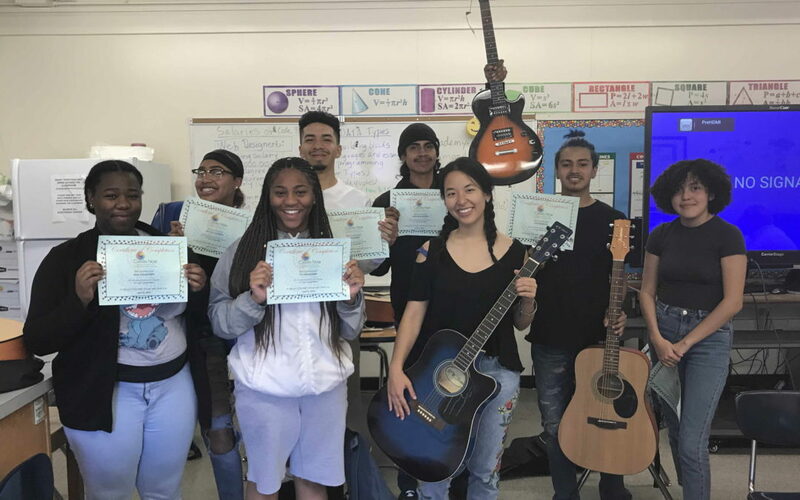 With your donation, Create Now is able to select and hire qualified musicians, purchase and supply instruments and other art supplies, curate programs for diverse populations and give the youth a culmination party, memorable gifts and certificates to celebrate their achievements. Click here to donate.